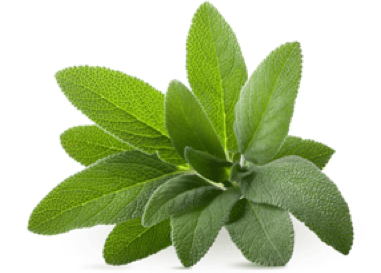 Sage (Salvia officinalis) has a herbaceous spicy aroma. The Ancient Greeks and Romans used the leaves of both species as compresses for the treatment of wounds. The oldest reference is a depiction of Salvia fruticosa on a fresco in Crete, which has been dated at about 1400 BC. The name salvia in fact comes from the latin, salvere, meaning to heal. It has been identified for its ability to strengthen the senses, and vital centers of the body.